1Not available with special finance or lease offers. See dealer for details. 2Not available with special finance or lease offers. See dealer for details. 3Must own 2005 or newer a NON GM vehicle in the household. 40% for up to 72mo*** ^Lease includes $1500 GM Lease Conquest Rebate, Savings includes $1788 Buick GMC Conquest Rebate ***0% for up to 72months is for qualifying customers with an A1 Tier Approval through GM Financial. The 0% Offer will not combine with the maximum savings or lease offers. See dealer for complete details. All offers expire 4/30/19 Advertised pricing does not include tax, title, MV, or $499 Dealer DOC Fee. ***0% for up to 72months is for qualifying customers with an A1 Tier Approval through GM Financial. The 0% Offer will not combine with the maximum savings or lease offers. See dealer for complete details. All offers expire 4/01/19. 5Leases Starting at $159/mo** ** The dealer in this advertisement & their marketing firm are not responsible for errors or misprints. Prior Sales Excluded. All incentives to dealer. Vehicle photos intended for illustrative purposes only. *All payment offers subject to approved credit through primary lender with A-Tier approval or better. Monthly payments are based on 36 month lease for 10,000 miles per year (25¢ per mile over) with $3995 Down, first payment due at signing and does not include tax, $499 Doc Fee, or MV Fees, must qualify for GM Lease Conquest Rebate $1500. MSRP $31,195 Residual: $17,157.25. Total of payments is $9719. Example vehicle N237841. See dealer for complete details. All offers expire 4/30/19 Lease terms end or change at 30000 miles 6Must finance through GM Financial. Some customers may not qualify. Not available with some other offers. See dealer for details. 7Not available with some other offers. Take delivery by 04-30-2019. 8Must finance through GM Financial. Some customers may not qualify. Not available with some other offers. See dealer for details. 9Not available with some other offers. Take delivery by 04-30-2019. 10Not available with some other offers. Take delivery by 04-30-2019. 11Not available with some other offers. Take delivery by 04-30-2019. 1Not available with lease and some other offers. See dealer for details. 2Must own 2005 or newer a NON GM vehicle in the household. 30% for up to 72mo*** ^Lease includes $1500 GM Lease Conquest Rebate, Savings includes $1788 Buick GMC Conquest Rebate ***0% for up to 72months is for qualifying customers with an A1 Tier Approval through GM Financial. The 0% Offer will not combine with the maximum savings or lease offers. See dealer for complete details. All offers expire 4/30/19 Advertised pricing does not include tax, title, MV, or $499 Dealer DOC Fee. ***0% for up to 72months is for qualifying customers with an A1 Tier Approval through GM Financial. The 0% Offer will not combine with the maximum savings or lease offers. See dealer for complete details. All offers expire 4/01/19. 4Must finance through GM Financial. Some customers may not qualify. Not available with some other offers. See dealer for details. 5Not available with some other offers. Take delivery by 04-30-2019. 6Must finance through GM Financial. Some customers may not qualify. Not available with some other offers. See dealer for details. 7Not available with some other offers. Take delivery by 04-30-2019. 8Not available with some other offers. Take delivery by 04-30-2019. 9Not available with some other offers. Take delivery by 04-30-2019. 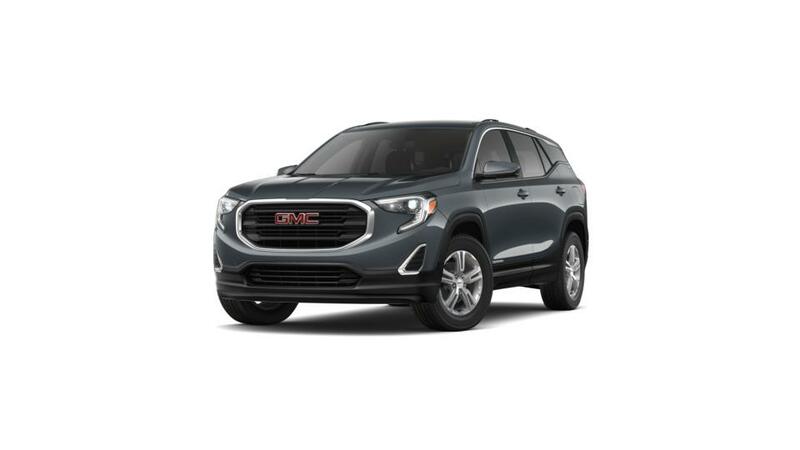 Visit our dealership, Ingersoll Auto of Danbury, near New Milford and Waterbury, to check out a new GMC Terrain. The Chevrolet Terrain is a bold small-size SUV that is dependable and fun to drive. It can maneuver narrow city streets and the open road, along with a 3.6L V6 engine and optional all-wheel drive. Furthermore, technology buffs will use the available built-in 4G Wi-Fi hotspot and convenient cellphone connectivity. StabiliTrak steering adjustment technology and cutting edge safety features such as Blind Zone Alert and Lane Departure Warning will help keep you secure and in control as you drive. Shop our inventory of new Chevrolet Terrain models in Danbury and select the color and trim level that you are looking for. Give us a call at (203) 885-1712 for more information and to set up a Terrain test drive.